I’ve tried this place four times over two years, most recently last night. 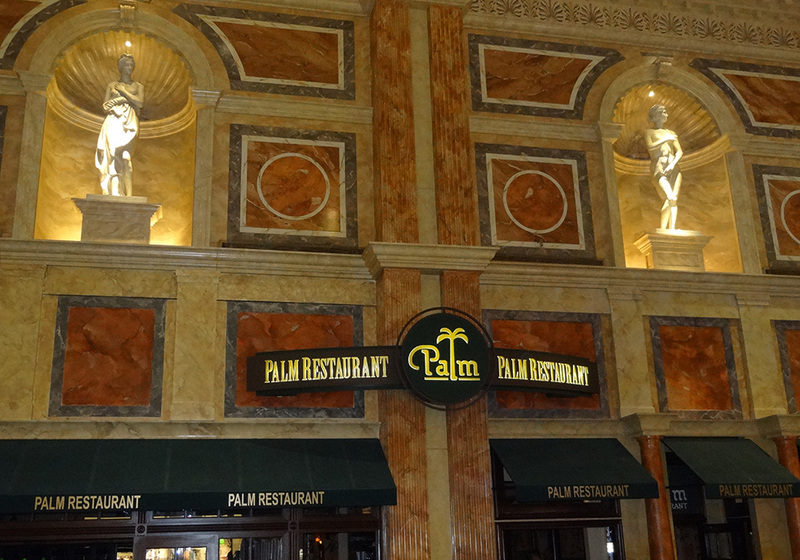 It’s always been solid—diverse tasty dishes, reasonable prices, vivid bustling environment. Those with families will doubly appreciate it, since right outside sits a small aquarium with large colorful fish and a stage with free “Fall of Atlantis” shows at the top of every hour. This helps with the common 20-35min wait; the place is busy. They have two floors and various seating arrangements to match the well-lit, vibrant interior. Staff are friendly and attentive, though a little dazed since they’re running around so much. I ordered the Moroccan Chicken and a glass of red wine. After thirty minutes, while enjoying the wine and warm bread, I started to wonder where the main dish was. Literally five seconds after this thought a manager stops at my table, explains softly they had a problem with something and please forgive the delay; two minutes later the chicken arrives. This thoughtfulness was appreciated. The Moroccan Chicken, topped with asparagus and yellow zucchini, tasted better and fresher than I had expected. It cost $16.95 but paralleled entrees around $27. I rarely eat dessert but decided to make an exception here, it was “The Cheesecake Factory” after all. 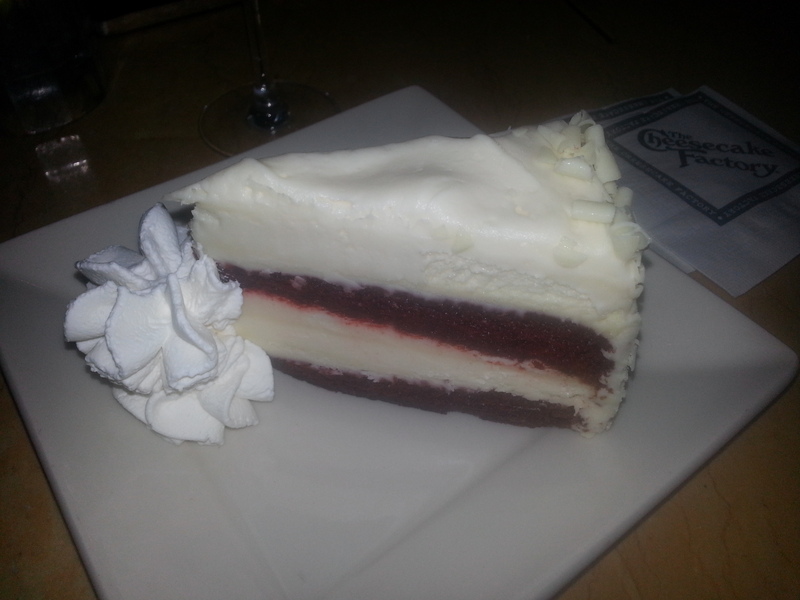 The “Ultimate Red Velvet Cake Cheesecake” looked heavenly on the menu; when something has “cake” twice in the title it must be delicious, right? Indeed it was so divine even Atlantis would have fallen for it.